The best way to learn about a time, a place or an activity is to write a novel about it. In my very first book, Magic Creek, the heroine joins a group of settlers heading west. Even as most of the others stop to build homes, Magic and her partner continue on because, as they say, they want to go to the very edge of civilization. For this book, I spent hours researching the northwest territory and how the pioneers lived. How did they plant their crops and cook their food and sew their clothes and build their houses? What were the Indians of the area like? What motivated them to suffer such hardship and take such enormous risks to start over? I fell in love with these courageous people and my own book led to reading many more, both fiction and non-fiction, simply for pleasure. I never sit down and plot out my books. They just develop themselves as they see fit so in Sticks and Carrots, my main character, Cole McCarran, had a dual Irish and American citizenship. I'd never had any particular interest in Ireland before. I'd never realized that this small island contained so many magnificent landscapes of various kinds - golden beaches and high mountains, beautiful lakes and green pastures and cliffside shorelines and virgin woods. A part of Ireland is almost tropical with palm trees and abundant flowers. The Burren is an exotic environment, as if a giant stone carver had purposely constructed it. In Ireland, you will find thatched roof cottages and medieval circles and fantastic castles. After all my research, if I was approached for that commercial that asks: "if we offered you a free trip but you had to leave today, would you go?" Yes! Yes! I would. I be winging my way to Ireland as we speak! Probably the greatest impact on my life was when I had to learn about NASCAR so Rafe Vincennes (of the Rafe Vincennes Series) could be a stock car driver. I did this oh-so-reluctantly. There was nothing that interested me less than auto racing. But I bought a book, Sunday Money by Jeff McGregor and sat down to read and take just enough notes to sound knowledgeable enough about NASCAR to be able to write my own novel. I was fascinated from practically the first paragraph. I became enthralled with the drivers, the tracks and the cars. Soon, my weekends revolved around racing. I watched the pre-race shows, the races and the post-race shows. My friends know not to call me when NASCAR is on. I picked Jimmie Johnson as my driver and became a fan-atical supporter. I've since attended a few races and discovered I love the smell of burning rubber and car exhaust in the morning! I can recite you chapter and verse about bump stops and sway bars and wedge. I can define the difference between aero and mechanical grip. I have probably spent 1000's of hours watching NASCAR since 2008. I have yelled and jumped; my heart has raced; I've experienced joy and heartbreak. NASCAR has become one of the passions of my life....all because I wrote a book about a hero who drove race cars. My most recently published novel, Eureka Spills, required research on New Mexico and ranchers, cowboys and wild horses. Cattle ranching and cowboys have a special place in the heritage of America. It is a lifestyle that is uniquely its own and beloved of the people who would probably not work nearly as hard while making more money doing something else. Although I developed great affection for the humans, I have to say my heart is with the horses. There are now fewer wild horses running free on the American range (46,000 +/-) than we are keeping in captivity (50,000). We say that is because they breed too quickly and overrun their habitat but of course, the actual fact is that they are our competitors for forage and like the Native Americans before them, we put them on the least desirable "reservations" and then decide that's still too much. So we round them up with helicopters during which horses are injured and babies are separated from mamas. Then we either pen them up or sell them to be butchered (which we deny but our denials are true only because we allow it to happen through a third party.) So my passions were stirred in writing this book but in a completely different way than my fervor for NASCAR. In the book I'm currently writing (as yet unnamed), my hero, Luca Quai, was raised in Romania. He's half-Jewish and half-Gypsy. Right now, I'm working on trying to learn as much as I can about Jewish culture and customs, holidays and food. And, oh my Gosh, I have to say that in my life I have studied a great deal about various religions but none of them are as complicated or complex as the history and the beliefs and the rules about being Jewish. My head is filled with tzitzits and tzniut, menorahs and mezzuzah, kugelach and latkes, Rosh Hashanah and Purrim and Yom Kippur. I can't wait until my character grows up to make his home in the Atchafalaya Basin in Louisiana. 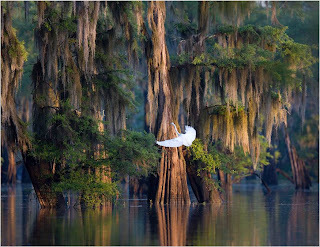 The Atchafalaya is the largest wetlands in the United States containing over a million acres of bayous and cypress swamps, marshes and backwater lakes and hardwood forests. More than half of all species of migratory birds visit there seasonally. It is home to bears and panthers, alligators and other smaller wildlife in addition a myriad of aquatic life. I've already begun reading about the intriguing and mysterious Atchafalaya and about the Cajuns who live there. So writing a book forces you to delve deeply into your subject matter. It encourages you to develop fascinating interests you'd never considered before. Writing a book is every bit as educational as reading one.